2 Bedroom Upper Floor Flat For Sale in Colchester for Offers in the region of £180,000. This property's price has dropped from £190,000 to Offers in the region of £180,000. CHAIN FREE!! 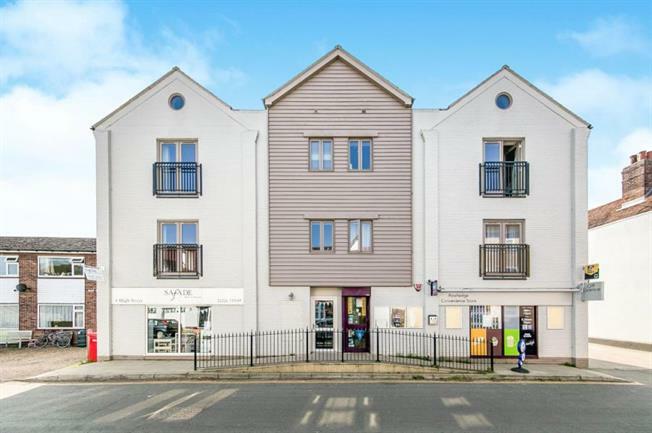 This beautifully presented modern apartment located within the peaceful area of Rowhedge is perfect for first time buyer and is being offered with no onward chain. This home is just set back from the river colne which offers some beautiful outside space to enjoy the sun in. Modern Kitchen with integral cooker and hob with extractor over, Base and Wall mounted units, stainless steel sink drainer with mixer taps. space for fridge freezer. Plumbing for washing machine. Window to front, electric heating, tv point. Three piece suite compromising of a low level w/c, wash hand basin with pedalstall and shower cubicle.